· Japan will be hosting the Finals of the World Grand Prix for the sixth time. · This will be the second World Grand Prix Finals hosting for the capital city of Tokyo. · China have finished in the top six in 20 of the 21 previous World Grand Prix editions; they only missed the top six in 2011. 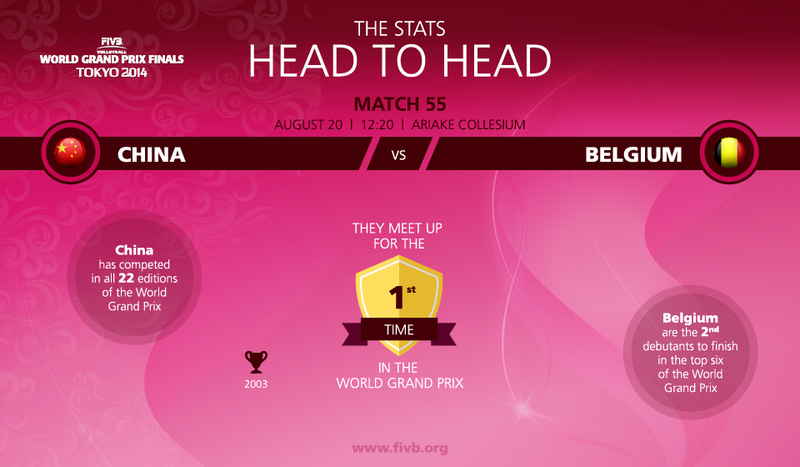 · Belgium have won their last three World Grand Prix matches, but have never won four in a row. · China and Belgium have never played each other in any tournament. · Brazil have won or finished runners-up in the last six editions; they won in 2008, 2009 and 2013. 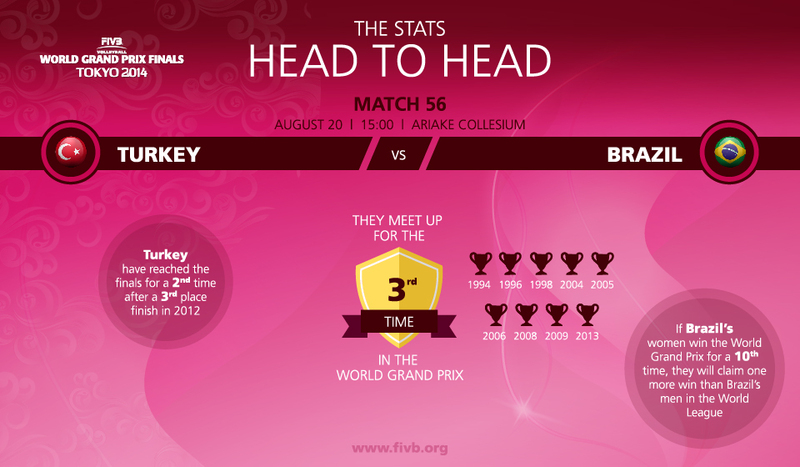 · Turkey have won World Grand Prix matches against former winners China, Cuba, Russia and USA. · Brazil have won both of their World Grand Prix encounters with Turkey – 3-0 in 2008 and 3-1 in the 2012 Finals. · Japan have won their last four matches after losing their first five matches this season. · Russia have finished runners-up five times, same as Brazil and China. 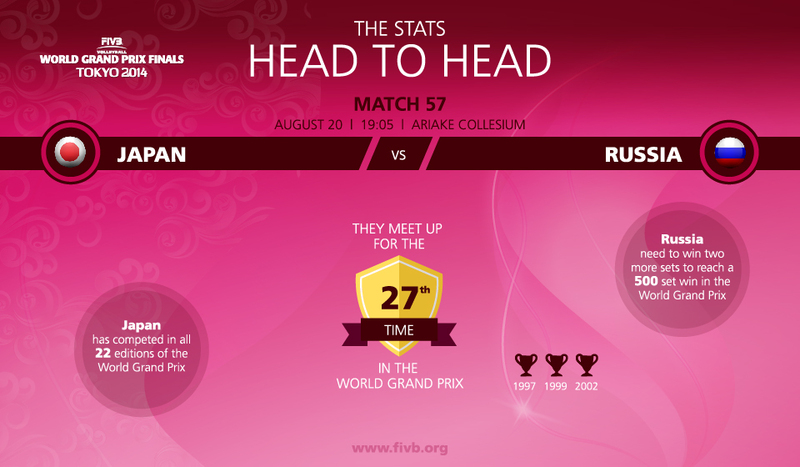 · Russia have won all four meetings with Japan in the World Grand Prix Finals in 1997, 2001, 2006 and 2009.